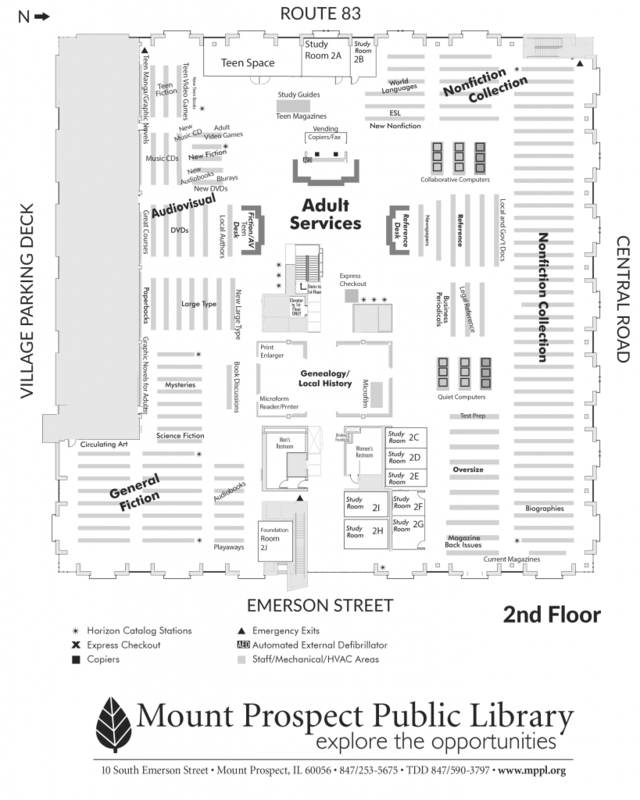 The Book and AV walk-up Return is located to the left of the front entrance of the Mount Prospect Public Library building on Emerson Street. 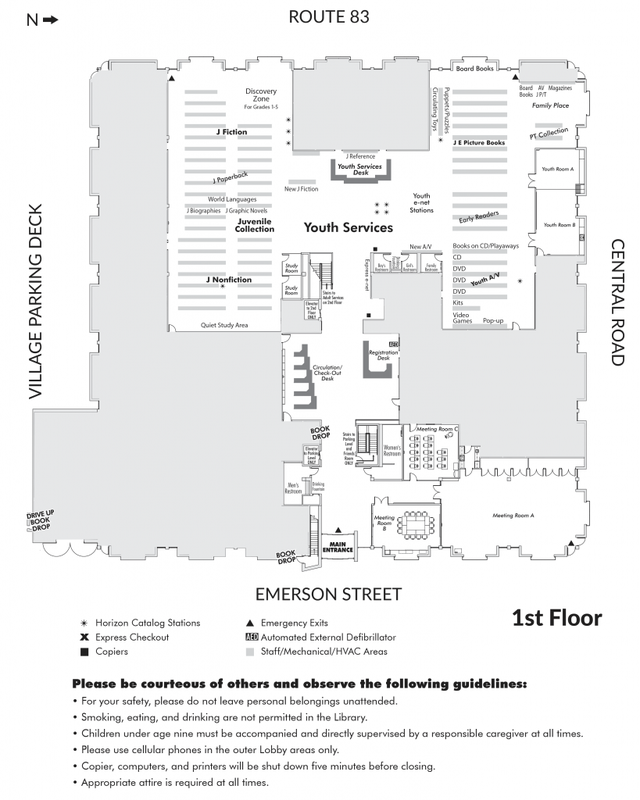 This area is available 24 hours a day. The drive-up Book and AV Return is located on the north side of the parking garage near the exit.